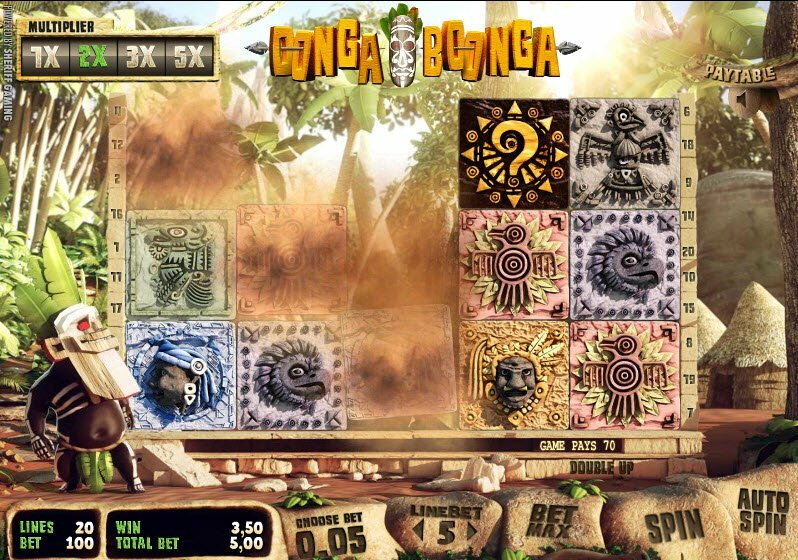 Sheriff Game’s Oonga Boonga Slot has a tribal inspired theme. The game contains 5 reels and 20 paylines. Cascading Reels give players even more chances to win. How do they work? After each winning combination, winning symbols explode allowing new symbols to replace them. This continues until you run out of winning combinations. With each cascade, multipliers increase up to X5. Leave civilization behind in the Oonga Boonga Slot. 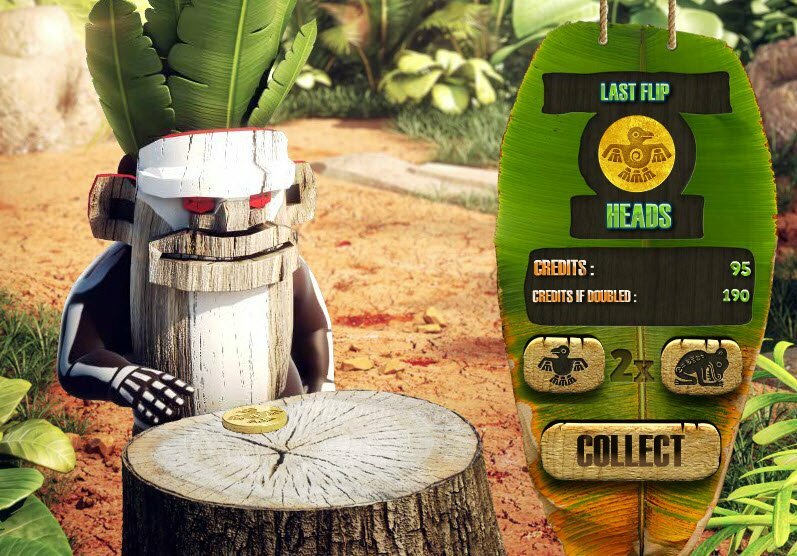 The game contains colorful and high-quality 3D graphics that take you on a Tahitian vacation. The lively witch doctor stands by the reels as you play. In addition, the tribal music which plays in crystal clear sound quality matches the game’s theme perfectly. This game goes beyond the standard online slot by including Cascading Reels… The reels continue to cascade until there are no more winning combinations with the multiplier increasing up to X5 during each spin. 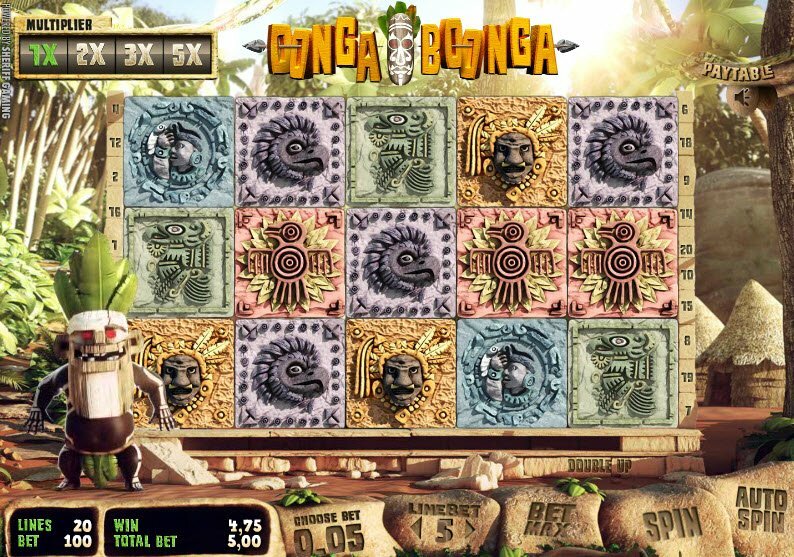 Oonga Boonga Slot Bonuses award Cascading Reels, Wilds, Scatters, Bonuses, Multipliers, and more. This game goes beyond the standard online slot by including Cascading Reels. After each winning combination, the winning symbols explode and disappear. Then new symbols cascade from above to fill the empty spots giving you another chance to win. The reels continue to cascade until there are no more winning combinations with the multiplier increasing up to X5 during each spin. The tribal question mark symbol serves as the Wild and substitutes for all symbols except the Scatter and Bonus. The Free Drops Bonus Feature activates when 3 Free Drop Symbols appear on the reels. During the Free Drops Bonus awards multipliers to increase payouts during winning combinations. In addition, the game gives players the option of doubling their payout after each winning combination. During the Double Up Round, guess if the next coin will land on heads or tails to win (or lose) extra prize money.